Tire Swings really are a blast! They allow kids to feel like they are floating, spinning and soaring through the air, all while sharing the experience with a few of their friends! But people do not often think about what makes it all possible. 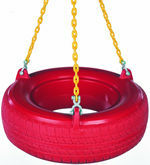 It is the tire swing swivel. 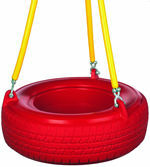 These unique hangers for tire swings have been tested to withstand the weight of hundreds of pounds and pivot in all different directions, giving it the range of motion to move and spin in any direction. 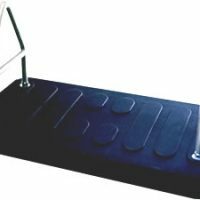 The swivel is really the key component in the whole apparatus and without it you would have a regular front-to-back swing with a tire seat. That, we are sure, is not as fun! 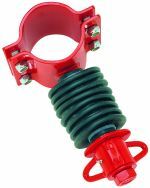 Depending on where you have your swing and what sort of structure you are going to hang it from, we have different options in the swivel department to meet your needs. 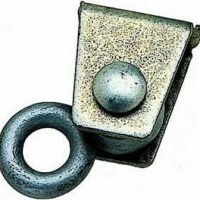 If you want to look at a whole new structure, check out our Tire Swings Page and look here if you need other swing set hardware. Chains are sold separately. 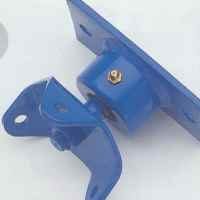 To attach the seats to the chains, you will need fasteners. 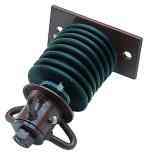 For use with beams on wooden structures. Are you also in the market for a new seat set up in addition to your swing hanger? 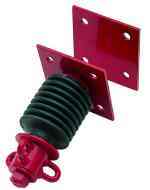 Below are some packages for tire swing seats including the chains and hanger you will need. Everything you need to add a new tire swing to an existing hanger. 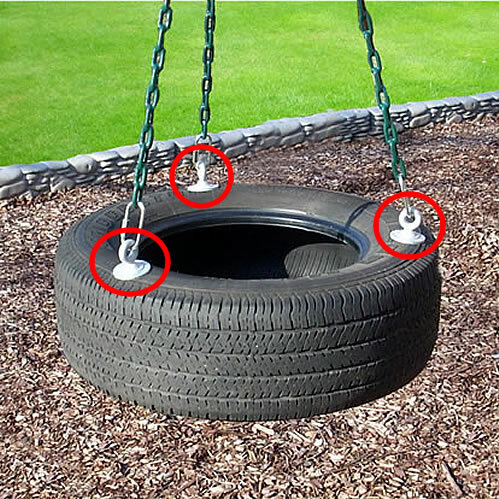 Everything you need to add a new tire swing to a swingset, with tube chains.